How is Elderberry Extract Made? When flu season hits, it hits hard. And with the exception of antiviral medications that can lessen downtime, there is no cure. If you didn’t get your flu shot this year and are feeling awful from the flu virus, you might want to consider treating the symptoms of flu with elderberry extract. Not only can elderberry help with the symptoms of flu, but it might also prevent you from getting it. Evidence suggests that it might short circuit and run the virus off-course if taken when you first start to feel symptomatic. Elderberry is a term that refers to many different varieties of the Sambucus tree. The Sambucus is a flowering plant that belongs to the Adoxaceae family. The European elderberry, also known as the black elder, comes from the European elder tree. It is the most common type of elderberry (x) (x). Grown primarily in Europe, elderberry exists all around the globe. The Sambucus nigra can grow up to 30 feet tall. Its flowers (called elderflowers) are cream or white in color. When it produces berries, they are blue or blue-black bunches. Sambucus nigra berries are extremely bitter and need to be cooked before you can eat them (x). The flowers, however, are sweet smelling and can be eaten either cooked or raw. Not unlike American elder, elderflower or dwarf elder, the Sambaca nigra have different medicinal properties. The leaves and the flowers of the elderberry can reduce inflammation and swelling and serve as a pain reliever. It is also capable of inducing sweating and increasing the production of urine. The bark of the elderberry can even be an effective diuretic, vomit inducer and laxative (x). The berries of the elderberry plant serve as the primary makeup of elderberry extract. It can take the form of syrup, juice, chutneys, jams and elderberry wine. The flowers can be boiled with water and sugar to make syrup, or they can be infused into a hot cup of tea. They are also tasty enough to toss in a salad and eat raw (x). 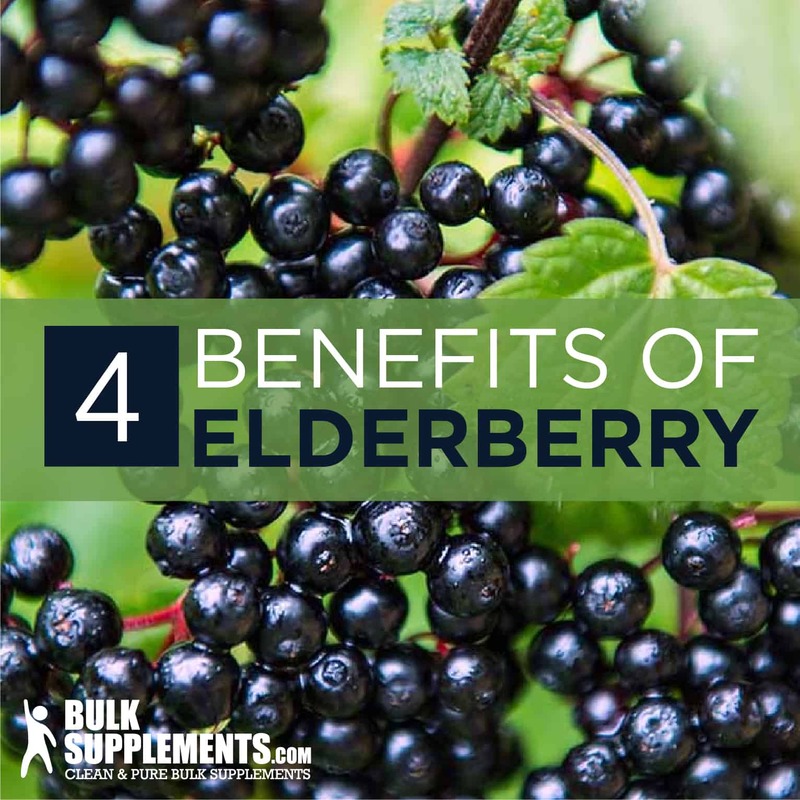 The many benefits reported from using elderberry extract include the prevention of cold and flu, the alleviation of flu symptoms, heart health support, and anti-inflammatory and anti-infection properties. They are also high in nutrition and contain natural antioxidants. 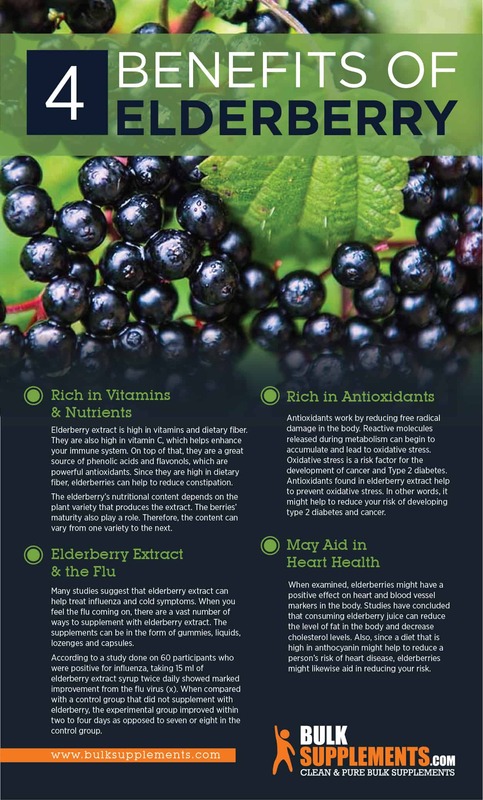 Elderberry extract is high in vitamins and dietary fiber. They are also high in vitamin C, which helps enhance your immune system (x). On top of that, they are a great source of phenolic acids and flavonols, which are powerful antioxidants (x). Since they are high in dietary fiber, elderberries can help to reduce constipation. The elderberry’s nutritional content depends on the plant variety that produces the extract. The berries’ maturity also play a role. Therefore, the content can vary from one variety to the next. Many studies suggest that elderberry extract can help treat influenza and cold symptoms. When you feel the flu coming on, there are a vast number of ways to supplement with elderberry extract. 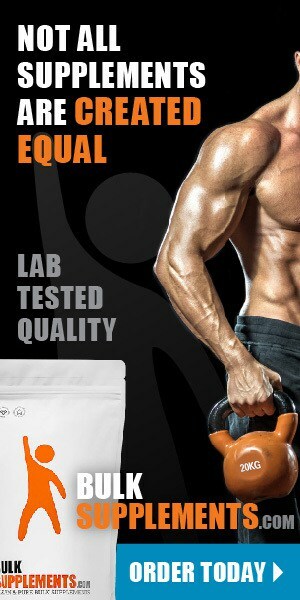 The supplements can be in the form of gummies, liquids, lozenges and capsules (x). According to a study done on 60 participants who were positive for influenza, taking 15 ml of elderberry extract syrup twice daily showed marked improvement from the flu virus (x). When compared with a control group that did not supplement with elderberry, the experimental group improved within two to four days as opposed to seven or eight in the control group. Another study of 312 airplane passengers who took 300 mg of elderberry extract three times daily were found to experience a shorter duration of illness and less severe symptoms than those who did not take elderberry extract (x). When 64 people who had the flu took 175 mg of elderberry extract via lozenges for a total of two days, they reported a reduction in fever, muscle aches, nasal congestion, and headaches within the first 24 hours of being symptomatic (x). There is also evidence that taking elderberry extract might help to prevent flu infection. Since the evidence is not compelling, though, more studies need to be done on a grander scale. Antioxidants work by reducing free radical damage in the body. Reactive molecules released during metabolism can begin to accumulate and lead to oxidative stress. Oxidative stress is a risk factor for the development of cancer and Type 2 diabetes. Antioxidants found in elderberry extract help to prevent oxidative stress. In other words, it might help to reduce your risk of developing type 2 diabetes and cancer (x). Research has also found that antioxidants like phenolic acid and flavonoids, both of which are plentiful in elderberry extract, can remove reactive molecules. In doing so, they might help to reduce the risk of developing chronic illness and disease (x). A study done on rats concluded that supplementing with elderberry extract worked to reduce oxidative tissue damage and inflammation. Another study found that people who drank 400 ml of elderberry juice improved the amount of antioxidants in their bodies (x). The limitation of not having enough scientific experimentation with elderberry extract is slightly problematic. Also, when you cook the elderberries, which is necessary due to its tartness, it loses some of its antioxidant properties. Therefore, supplementing with products extracted using heat, such as teas, jams, syrups and juices, may reduce its effectiveness. When examined, elderberries may have a positive effect on heart and blood vessel markers in the body. Studies have concluded that consuming elderberry juice can reduce the level of fat in the body and decrease cholesterol levels. Also, since a diet that is high in anthocyanin might help to reduce a person’s risk of heart disease, elderberries might likewise aid in reducing your risk (x). When mice diagnosed with high cholesterol levels supplemented with black elderberries, they exhibited lower cholesterol levels in the aorta and liver, but the same was not witnessed in their blood samples (x). Other studies have found that when rats are given food that contain a high concentration of polyphenols, they exhibited lower blood pressure, and they were also less susceptible to the damage that can be caused as a result of high blood pressure (x). Since it has been shown that elderberries may help with the reduction of uric acid levels in the blood, which are linked to negative health consequences, they might aid in reducing effects on heart health. Elderberries might also help to improve blood sugar levels and to increase insulin secretion. Because type 2 diabetes is a risk factor for cardiovascular and heart disease, controlling blood sugar levels may aid in preventing chronic disease (x). Furthermore, a study conducted on supplementation with elderberry flowers showed that it contains the enzyme a-glucosidase, which may help to lower a person’s blood sugar level. And when rats were given elderberry extract, they exhibited much better blood sugar control (x). Although elderberry extract does show promise, there are side effects to use that might be dangerous. The dark berries of the elderberry and its seeds contain something called lectins (x). When eaten in high dosages, it can be very caustic to the stomach. That can result in nausea, vomiting and diarrhea. Also, the elderberry plant contains cyanogenic glycosides, which are known to release cyanide under certain conditions. Cyanide is a toxin that is also found in almonds and apricot seeds. When extracted and consumed, elderberry contains about 3 percent of the cyanide that is known to be fatal (x). When elderberry extract is produced commercially, though, the berries do not contain cyanide. That being said, no fatalities from taking commercial elderberry extract have been reported. If you want to supplement with elderberries, confirm that you are taking berries from the European elderberry or American plant. Other varieties might be more harmful. Also, before you use elderberries, remove the leaves and bark. Adolescents or children under the age of 18 or lactating or pregnant women should be wary of elderberry. While there is no conclusive evidence that it is harmful, not enough studies have been done to conclude that it is safe for younger or more vulnerable populations (x). Elderberries also have unknown effects if used for prolonged periods, so long-term use is not recommended until more studies can confirm its safety. Elderberry extract comes in many shapes and sizes — powder, gummies, capsules, syrup and liquid form. They are also a common cooking ingredient. There is currently no standard dosage for supplementation with elderberries due to a lack of clinical evidence. Clinical trials have shown that 15ml, four times daily for five days, is a sufficient dosage to treat flu symptoms. Travelers who want to reduce the risk of getting the flu may benefit from taking 600mg daily for ten days before airplane travel, and then 900mg daily from the day you travel to four to five days after your flight. There are no known interactions of elderberry extract. Although there is the potential that it can affect insulin levels. It also might interact with blood pressure medications, chemotherapy drugs and laxatives. Also, the quercetin present in elderberry might inhibit xanthine oxidase and may affect caffeine and theophylline metabolism. Elderberry can help to increase the immune system’s function. Therefore, if you take medications to decrease your immune system, elderberry might interact and stop the drugs from doing what they are intended to do. So if you are using immune suppressants, it is best to speak with a pharmacist before supplementing with elderberry extract. Research suggests that elderberry extract may reduce your risk of flu, aid in the reduction of flu symptoms, reduce the risk of heart and cardiovascular disease, and serve as a powerful antioxidant. Elderberry extract has very few side effects, and unless you take more than the recommended dosage, there is no harm to use. So, if you are traveling and want to prevent your risk of flu or have the flu and are looking to shorten its duration and the symptoms of it, elderberry just might help.